In December of 2013, Russian company Yota devices launched the remarkable YotaPhone; the smartphone flaunting two fully functional displays! That was not it. Just a year after that, YotaPhone 2- overall a much better smartphone-made its way into the market in 2014 December. 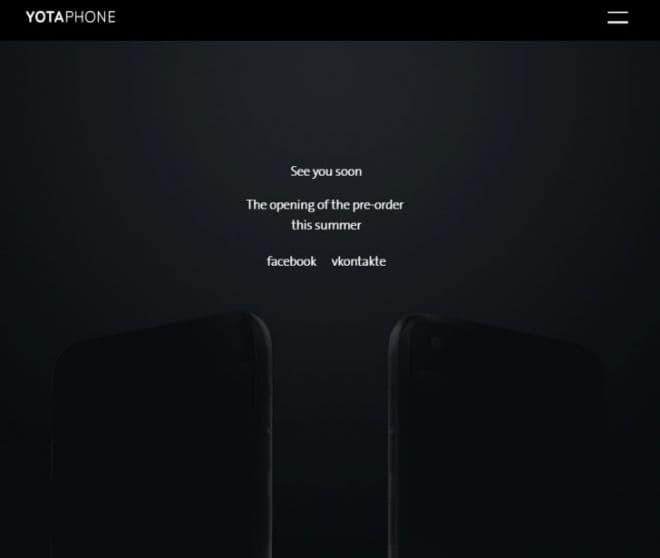 After a long wait of around 2 years, finally, we can expect the third generation of YotaPhone to be launched this year. According to a report from Engadget, the launch of Yota3 (that’s what it’s called now) is due in the early fall later this year. It’s going to be available in a 64GB variant priced at $350 and a 128GB one at $450. The device will be initially available in China with Russia following the expansion. That’s almost it. Nothing much was reveled in the official announcement at China-Russia Expo in Northern China. But as always, we have our unofficial sources at work. Engadget also received some details about the major specification of the device. Going by the sources, the rear e-ink panel is the only innovative part about the Yota3. Much improvements have been made on the overall design front to bring its appearance up to date. According to the probable spec sheet, the smartphone packs a much bigger 5.5-inch AMOLED panel on the front and a 5.2-inch 720p E Ink touchscreen on the back. Other specifications include a 4GB of RAM, 12-megapixel rear camera and a front module of 13MP, 3200 mAh battery with a USB-C port. Some generic specs for a flagship. Include the rumors of Snapdragon 625 and it kills the remaining excitement as well. 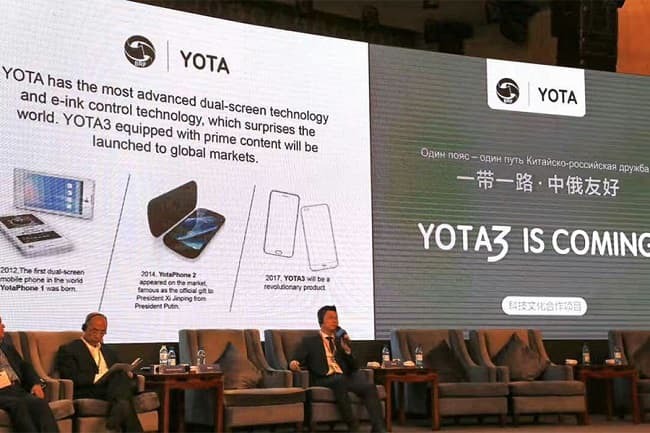 Back in April, Yota devices revealed a still teasing the launch of Yota3. Picture didn’t reveal much, but one thing is for sure: one can expect a much sleeker YotaPhone this year. But, if the rear display is the only sweet spot in Yota3, then it might not appeal to the most (same problem earlier generation of YotaPhones faced).